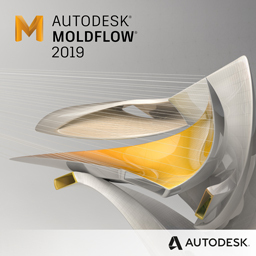 Autodesk® Moldflow® software provides a broad range of simulation tools for injection mold design, plastic part design, and the injection molding design process to help engineers and analysts create better products by enabling them to make crucial decisions earlier in the design process. Validate and optimize plastic part and mold designs before manufacturing—increasing efficiency, minimizing reliance on physical prototypes, reducing costs, and improving product quality. Optimize the position of the gates and runner designs to optimize product quality and minimize costs. Evaluate and optimize plastic part and injection mold designs to help control shrinkage and warpage based on grade-specific materials and processing parameters. You can output accurately compensated models for tooling or further geometry modification. Calculate the effect of fiber orientation, in fiber re-enforced plastics, on product shrinkage and warpage and make these effects available to structural analysis products to evaluate the performance of the molded part. Optimize the layout of the cooling system and evaluate the impact of different mold materials to improve product quality and reduce the cycle time. Moldflow Insight supports state of the art cooling technologies, including rapid-temperature cycling, conformal cooling technologies and Induction Heating. Optimize the injection molding process and part design with Moldflow® Insight’s Design of Experiments (DOE) capabilities. Simulate with confidence using precise material data on more than 10,000 grade-specific plastics. Get additional materials tested, expert data-fitting services, and extensive material databases with the Moldflow Plastics Labs. Moldflow Insight provides direct editing tools in Synergy to evaluate different variations of part designs and the resulting impacts on manufacturability on the fly. Fusion 360, included with Moldflow Synergy and Adviser subscriptions, enables quick CAD model simplification, cleanup, and editing that can help any user save time on model preparation, improve mesh quality, and explore the impact of design changes more quickly. Fusion 360 can import CAD data in a variety of native and neutral CAD formats, identify potential problems before they occur, and help you quickly remove excess detail. Moldflow Insight provided cloud enabled options that offers the benefit of expanded solve capacity. Solve many simulations in parallel in the cloud, while freeing up local resources. These cloud capabilities allow the analysis of scenarios and designs overcoming local resource restrictions. Helius PFA included with Moldflow Insight Ultimate subscription to pass as-manufactured inputs in to a structural analysis. Call or e-mail us if you are interested in purchasing Autodesk® Moldflow™. Applied Engineering is authorized to sell Autodesk products throughout the United States and has offices in Minnesota, North Dakota, South Dakota and Wisconsin.